Through the work of dedicated professionals in the Maryland racing industry and contributions from generous racing fans, Beyond the Wire strives to lead the movement in thoroughbred aftercare. Beyond the Wire is an industry-wide initiative between the Maryland Thoroughbred Horsemen’s Association, the Maryland Jockey Club, the Maryland Horse Breeders Association and Maryland jockeys. The organization is a first exit from racing program designed to facilitate safe and enriching placements for retiring Maryland based racehorses. Generous annual pledges by involved organizations, in addition to owners’ contributions of $11 per start, enables Beyond the Wire to place retired thoroughbreds exclusively with Thoroughbred Aftercare Alliance-accredited farms. Horses that go through the program receive retraining and rehabilitation as needed. Donations are also always appreciated. Another very important goal of the program is to provide education and advocacy surrounding the issue of responsible retirement of racehorses. After all, these versatile horses are the grand centerpieces of the sport, and we believe, as such, deserve the best from their human partners. Beyond the Wire’s dedicated Board is comprised of owners, breeders and other professionals that are well known in the industry. Program Administrator, Jessica Hammond, runs the day-to-day operations of Beyond the Wire. 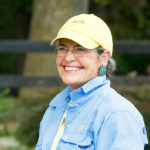 Hammond also works for the Maryland Thoroughbred Horsemen’s Association and was a racehorse owner herself, currently enjoying her three off the track Thoroughbreds (OTTBs). 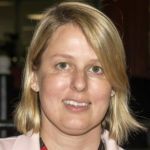 As the CEO of family owned Somerset Racing, she managed all business aspects of the international racing operation for her husband and trainer, Scott Hammond. Jessica’s love of Thoroughbreds and experience in all facets of the industry, make her an obvious choice to manage Beyond the Wire. An engineer with Northrop Grumman, breeder, owner and vocal advocate for retired racehorses, Christine Bricker has been a driving force behind the creation of Beyond the Wire. 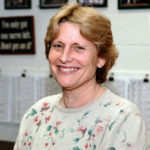 Bricker is currently serving her second term on the board of the Maryland Thoroughbred Horsemen’s Association, after having received an award from the organization for Outstanding Service to Maryland Horsemen in 2001. The Baltimore native currently has horses in training at Pimlico Race Course and enjoys following her retired runners in their second careers. One of Maryland’s most prestigious owners, Ellen Charles, has also offered her services to the cause. Ms. Charles has grown up in the industry with a mother that bred and raced horses in Maryland and a father that was a steward at the Maryland tracks for many years. 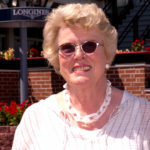 Since 2004, Mrs. Charles, who is also the granddaughter of Marjorie Meriwether Post, has raced thoroughbreds in Maryland with trainer Rodney Jenkins. The animal lover has the distinction of owning G3 winning stallion Bandbox, who now stands at Northview Stallion Station. In addition to horses, Ms. Charles owned and bred multiple dogs that went on to compete for Best in Show at the famous Westminster Kennel Club dog show. She continues to compete at the highest level of Maryland racing and was voted Maryland’s 2016 Owner of the Year. 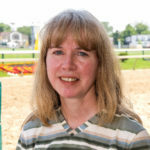 Linda Gaudet is one of the founding members of Beyond the Wire and has been an extremely involved member of the Maryland Racing community for over 45 years. 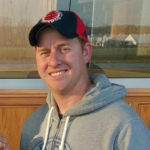 Gaudet is a Stakes winning trainer stabled at Laurel Park and has also been a Board Member of the MTHA since it began. She has championed such causes as uniform medication rules and the welfare of backstretch workers. Racing isn’t just Linda’s passion…it is absolutely a family affair for the Gaudets. Her daughter Lacey is also a trainer and her daughter Gabby is a racing analyst for TVG. Linda’s late husband, Edmond “Eddie” Gaudet was a much loved, Multiple Graded Stakes Winning trainer himself. We are extremely lucky to have a board member with so much energy, experience and dedication to horses. JoAnn Hayden is a retired teacher who owns Dark Hollow and Safely Home Farms along with her husband David. She has been breeding and racing thoroughbreds in Maryland for over 40 years. Hayden has bred and co-bred over 50 stakes winning horses. Amongst them are Hall of Fame and Breeders Cup winning sprinter, Safely Kept who earned $2.2 million and Maryland favorite, Eighttofasttocatch. 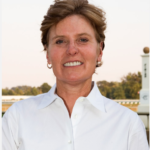 JoAnn is valued board member of the Maryland Thoroughbred Horsemen’s Association and brings with her highly regarded experience in the industry as well as a strong desire to bolster Maryland’s aftercare efforts. 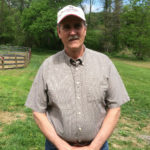 Mike Harrison, DVM graduated from the University of Florida veterinary school in 1982 and now lives on his farm in Butler, MD. He has a strong interest in the area of reproduction in horses and the care and raising of mares and foals. Not only is Dr. Harrison involved in the sport as a veterinarian, he is also an owner and breeder. Notable horses owned and bred by him include Talk Show Man who won the Maryland Million Turf in 2014 and Stakes Winner, Just Jack. Dr. Harrison’s career as a veterinarian and his position on the Maryland Horse Breeders board makes him a great ally in the aftercare arena. Rounding out our devoted Board is jockey agent, Marty Leonard who represents leading jockey Sheldon Russell and Graded Stakes Winning Jockey, Jevian Toledo. Leonard has held various positions in the racing industry over the past 10 years. In addition to being an agent, Leonard also functions as the Recreation Director for the Maryland Thoroughbred Horsemen’s Association. Marty is happy to represent the Maryland jockey colony; a group of men and women that are eager to support their athletic partners and are already discussing ways to increase their financial contribution to Beyond the Wire.